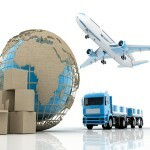 It is estimated that asset and cargo theft totals well over $15 billion dollars a year in the United States alone. The theft of one truckload can be upwards of a million dollars. Most often once a shipment is taken it is never recovered and sold almost immediately on the black market. This can cause catastrophic financial losses and huge hidden costs such as lost sales, cost of investigations and even potential product liability litigation. The risk is even greater when travel is in high risk areas or across borders. Theft of assets and cargo has been around for centuries, from merchants and traders being attacked on roads to ships being seized by pirates. The crime has evolved into a sophisticated operation. Today criminals are organized into international crime syndicate. It is an international concern that affects consumers and business alike. Act now before it happens to you. Unfortunately most people do not think about theft until it happens to them. Navistra’s active monitoring service provides peace of mind to our clients. We provide you comprehensive asset and cargo security and visibility from origin to destination. Having Navistra’s active monitoring service protects your assets and cargo from theft by continuous tracking via our state-of-the-art monitoring center using our revolutionary Geotrackz™ technology. Navistra is uniquely positioned to deliver regional and global visibility. Together we work with you to set predefined boundaries (Geo-Fencing), and start and stop cycles for each asset or shipment. If your asset or cargo violates a predefined boundary or the start and stop cycle is violated Navistra’s Rapid response team will initiate recovery. → In the event of theft Navistra’s Rapid Response Team ™ will initiate recovery. Navistra is fast becoming the preferred single- source provider for a growing list of leading consumer electronics, food and beverage, luxury retail, tobacco, pharmaceuticals and other high-value manufacturers and shippers. Protect your costly assets, reduce theft, and have peace of mind knowing Navistra’s got your back.